Drs. Ilya Rozenbaum, Chirag V. Patel and Cynthia Matossian will be attending the American Academy of Ophthalmology meeting in Chicago this November. Cynthia Matossian, MD led a Live Webinar to Ophthalmologists across the East Coast. Ilya Rozenbaum, MD was invited to give two glaucoma related lectures in Seattle, WA. Cynthia Matossian, MD has been invited to be a faculty panel member at the Bausch + Lomb Residency Day in Aliso Viejo, CA in December. Cynthia Matossian, MD spoke on Dry Eyes to Ophthalmogists & their staffs on two sperate occasions in East Norritown and Bethlehem, PA.
Cynthia Matossian, MD presented an inservice, "ABCs of Premium IOLs", to the surgical staff of Surgery Center of Central NJ. 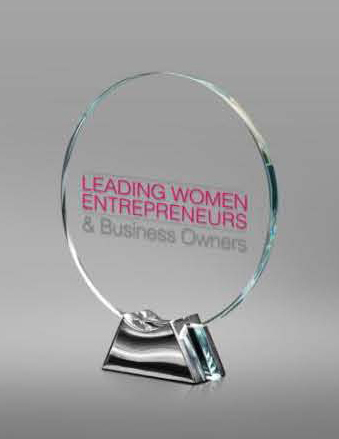 Dr. Matossian was named one of the 2012 Top 25 Leading Women Entrepreneurs in NJ! Cynthia Matossian, MD was chosen from hundreds of nominations submitted for this prestigious award. Criteria included outstanding performance in market potential, innovation, community involvement and advocacy for women. 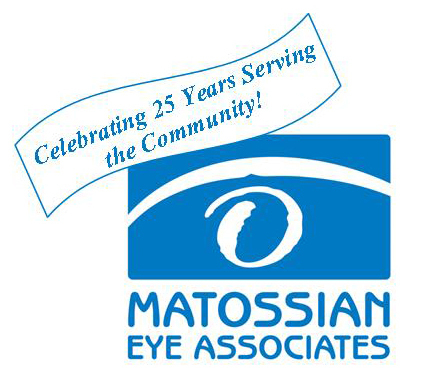 Matossian Eye Associates is celebrating its 25th Anniversary. In 1987, Cynthia Matossian, MD opened the doors to her Ewing, NJ office. 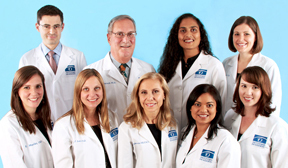 Over the years, the practice has grown to become an integrated model with 12 physicians, including MDs and ODs (some of whom work on a part time basis) and 3 office locations: Hopewell and Hamilton, NJ and Doylestown, PA.
Cynthia Matossian, MD became the first ophthalmic surgeon in the NJ/PA area to implant a new intraocular lens (IOL) manufactured by Lenstec. The new Softec HD Oval IOL with its innovative oval center is designed to provide 30% more coverage across the visual plane when implanted into the eye following cataract removal. The optic of the Softec HDO measures 5.75 mm x 6.50 mm which is the largest one-piece foldable optic available. The concept of this new design is to reduce dysphotopsia, one of the most common patient complaints following cataract surgery, of unwanted glare, halos or images. "The Marco OPD III has become an invaluable tool for calculating my intra-ocular lens implants (IOLs)" states Cynthia Matossian, MD. She uses it on every one of her cataract patients as it provides her the means of customizing the best possible IOL for each individual patient's needs. The OPD III allows her to verify K measurements, astigmatism patterns, angle kappa, pupil size in mesopic and photopic conditions, and corneal spherical aberration. To read the entire article written by Cynthia Matossian, MD, in the October issue of Ophthalmology Management, please click here. Almost 70% of people worldwide would prefer to lose 10 years of their life or to lose a limb than to lose their eyesight, according to a nationwide poll. Yet less than one third of those polled take the basic steps necessary to preserve eyesight, according to the "Barometer of Global Eye Health" survey. The opinion poll found reasons for not having an annual eye exam vary widely. Alarmingly, one belief is because their vision is clear, their eye health is intact. At MEA, we try very hard to educate our patients about the importance of annual dilated eye exams. Source: EyeWorld Weekly Update. Volume 17, Number 25. July 20, 2012. 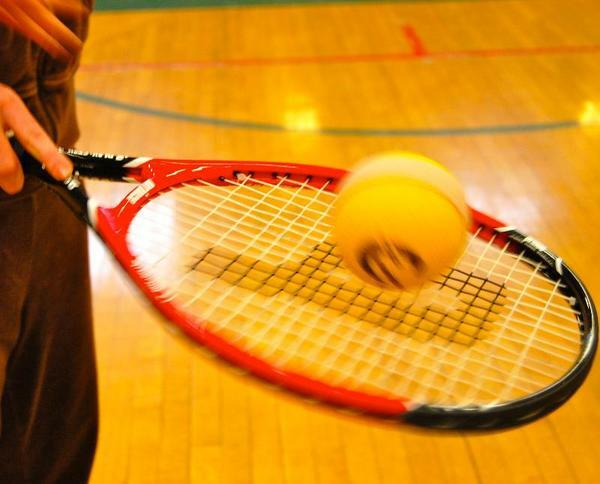 Tennis Serves is a non-profit organization that empowers blind athletes in the USA to enjoy the sport. Blind players rely on their ears instead of their eyes. The most important adaptation is the ball, which is larger, made of foam and wrapped around a plastic shell filled with ball bearings. Other adaptations include a smaller court with a badminton net lowered to the ground, string taped along the lines and junior rackets with oversize heads. Only one set is played and an umpire calls the lines. The sport has become extremely popular in Asia and it may be included in the 2020 Paralympics. This large retrospective review evaluated the incidence of hip fractures within a year of cataract surgery in a random sample of Medicare beneficiaries age 65 and older diagnosed with a cataract from 2002 to 2009. Overall, those who had cataracts removed had 16 percent fewer hip fractures than those who declined surgery. Older patients (aged 80 to 84) and those with significant comorbidities experienced the most significant benefit, with 28 percent fewer hip fractures compared to equally sick patients who did not have surgery. And those who had severe cataracts removed had 23 percent fewer hip fractures than those with severe cataracts who declined surgery. With an emphasis on patient education and early diagnosis with our state of the art equipment, the physicians at MEA hope to decrease hip fractures by performing cataract surgery in a timely fashion. The study results can be found here. Source: "Risk of Fractures Following Cataract Surgery in Medicare Beneficiaries". Journal of the American Medical Association, August 1, 2012. According to a recent study in the journal Clinical & Experimental Ophthalmology motor vehicle accidents involving men decreased by 15% in the 12 months following cataract surgery. In the study, men were drivers in 1,124 of the crashes, of which 611 occurred before surgery and 513 after surgery. The frequency of motor vehicle accidents in women did not change significantly after cataract surgery (0f 638 total crashes 330 were before surgery and 308 were after surgery). At MEA we simulate road-like driving conditions for day and night time. 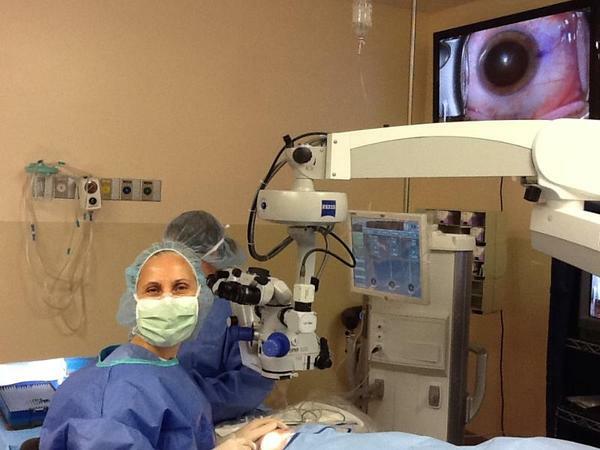 Accordingly, cataract surgery is recommended to minimize the risk of auto accidents. This test called a Functional Vision Analyzer is performed on all patients 60 years and older during their annual eye exams. Source: Eye Surgery Benefit Linked to Gender. The Wall Street Journal On-Line. Monday, September 10, 2012.